Peyton & Eli Manning Have A New Music Video. Watch "Football On Your Phone"
Our love of photography is always prevalent. 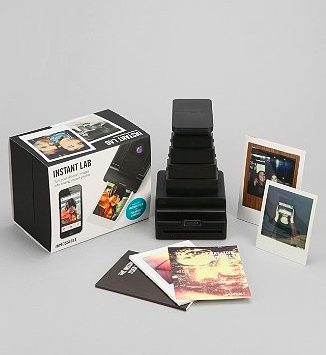 Not too long ago we were ecstatic over the making of Socialmatic Polaroid Camera. 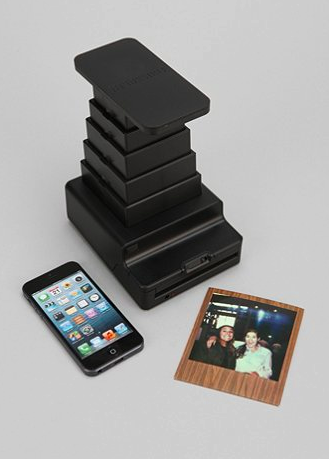 While waiting we stumbled upon the Impossible Instant Lab Photo Printer. Think about all of those photos you’ve taken with your phone that you were dying to print out, but with a cool 90s feel. Look no further than the ultimate photo printer. Keeping it as simple as possible, you download the app, place your phone on the deck and get to printing. One of the coolest things about the Impossible Instant Lab Photo Lab Printer is the actual film it prints on. You can choose between solid colored inserts, black/white and many more. It retails for $199 and you can cop it here.